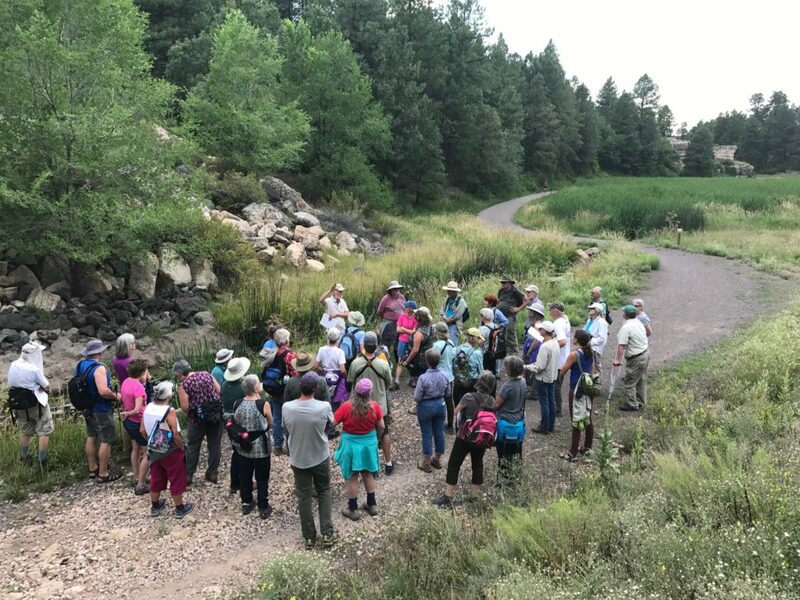 The Friends of the Rio de Flag is a 501(c)(3) non-profit organization whose goal is to protect, restore, clean up and improve the Rio de Flag and its tributaries to maximize their beauty, educational, recreational, and natural resource values, including the riparian habitats they provide. Where is the Rio de Flag anyway? Click here to see a 3D image of the Rio watershed. Meet at the Northwest corner of the Museum of Northern Arizona’s parking lot. Wear comfortable shoes and dress for the weather of the day. The Cheshire Pond Dam was built in the 1950s as a fishing pond. The dam location was likely selected to take advantage of the natural gorge that drained the Cheshire meadow before the neighborhood was developed. The resulting pond has rarely been managed, most recently by the Friends of the Rio as a wetland restoration on the fringe of the pond. 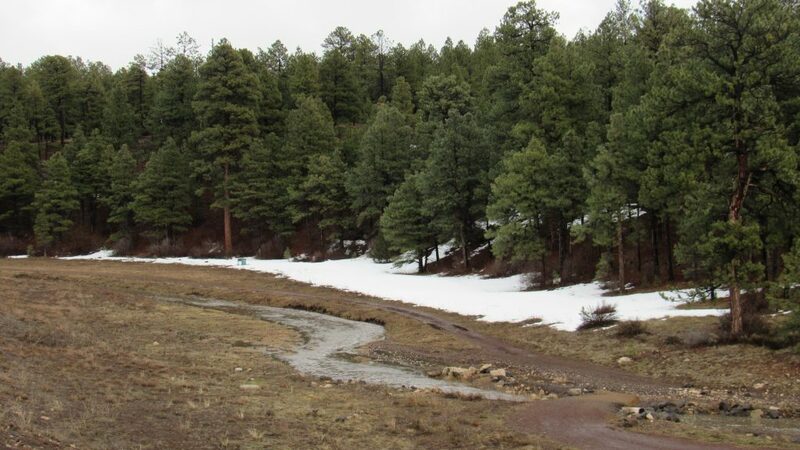 The pond currently fills during monsoon rains and snowmelt but can dry completely in the early summer. Ed Schenk, with the City’s Stormwater team will provide an overview of past activities at the pond and potential restoration and monitoring options including dredging the core pond to provide perennial surface water, wetlands plantings to increase biodiversity, and citizen science potential to engage the community in local watershed protection initiatives. 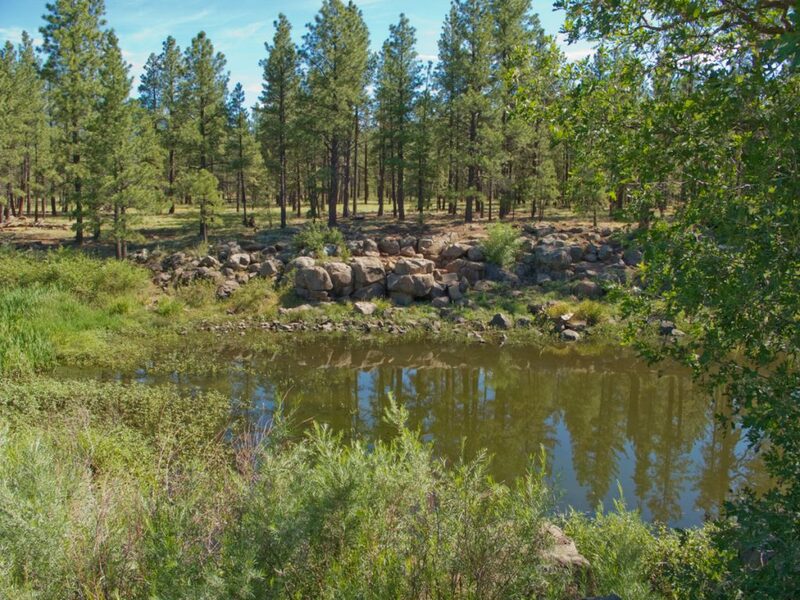 Ed Schenk is a project manager with the City of Flagstaff’s Stormwater team. He has lived in Flagstaff for the last 4 years with additional hydrology and geology work at the Museum of Northern Arizona and the National Park Service. Ed was a research scientist with the USGS for the decade before moving to Arizona with river restoration experience in more than 10 states. He has a Master’s from Indiana University and over 30 publications on river, wetlands, and estuary ecosystem function. 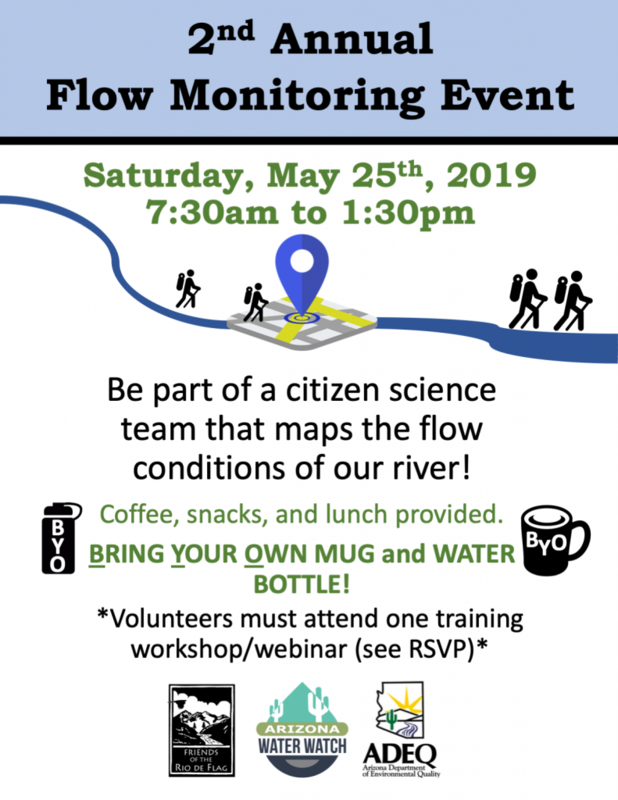 Participate as a citizen scientist during the 2nd annual Rio de Flag flow monitoring event! No experience needed. All equipment provided. 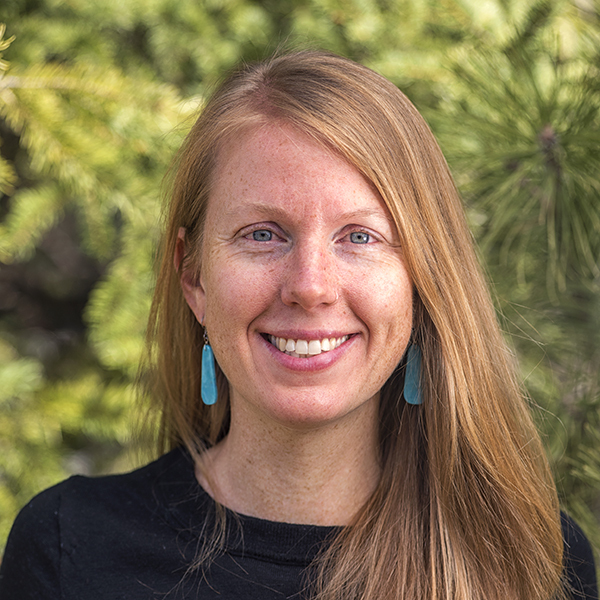 Cerissa Hoglander has her Masters in Environmental Sciences & Policy and has worked with the Grand Canyon Trust since 2013. After record-breaking snowfall on February 21st, 2019, many Flagstaffians are feeling pretty confident about the 2019 water supply and the beautiful Rio de Flag flowing through town. But how do our riparian communities sustain themselves during the drier parts of the year? Precious water from thousands of springs across Arizona provide are critical, sustained flows for our riparian systems. We hope you can join us on Thursday, March 7th as we hear from Cerissa Hoglander, Land Conservation Program Manager with the Grand Canyon Trust. We’ll learn about her important work restoring springs on the Colorado Plateau. Learn more about Grand Canyon Trust’s focus on water. Please join us on Thursday, January 3rd for our annual potluck! Meet members of the Board (if you haven’t already) and learn about our 2018 achievements. In addition, the City of Flagstaff Water Conservation Program will provide an introduction to their current strategic planning process. We will also host elections for Board of Directors. Vote online now or in person at the potluck. Bring a friend and your favorite dish to share in this year’s feast! We’re Hiring a Watershed Group Coordinator! The Friends of the Rio de Flag is hiring a Watershed Group Coordinator who will: 1) lead in the development of a Watershed Group composed of a diversity of community stakeholders, and; 2) write a watershed restoration plan for the Rio de Flag river. In addition, the Coordinator will conduct public outreach and education throughout the watershed planning process to ensure that the watershed restoration plan (“the Plan”) captures the local community’s vision for watershed restoration. The Coordinator will work closely with a facilitation team and other partners to organize and carry out stakeholder interviews, watershed group development, and public meetings. Insights from these interviews and meetings will be used by the Coordinator to write a watershed restoration plan for the Rio de Flag. The Coordinator will augment the plan with reference to relevant reports and planning documents. This is a part-time position. A full position description is available here. Those interested in applying should send a resume, cover letter, writing sample, and two references to Chelsea Silva at deflagrio@gmail.com. Please state: Watershed Group Coordinator in the subject line. Application deadline January 31st, 2019. Interviews will take place during February 2019. Position start date: ~ March 1st, 2019. Qualified individuals with disabilities and those from diverse backgrounds are encouraged to apply. We provide reasonable accommodations for qualified individuals upon request. 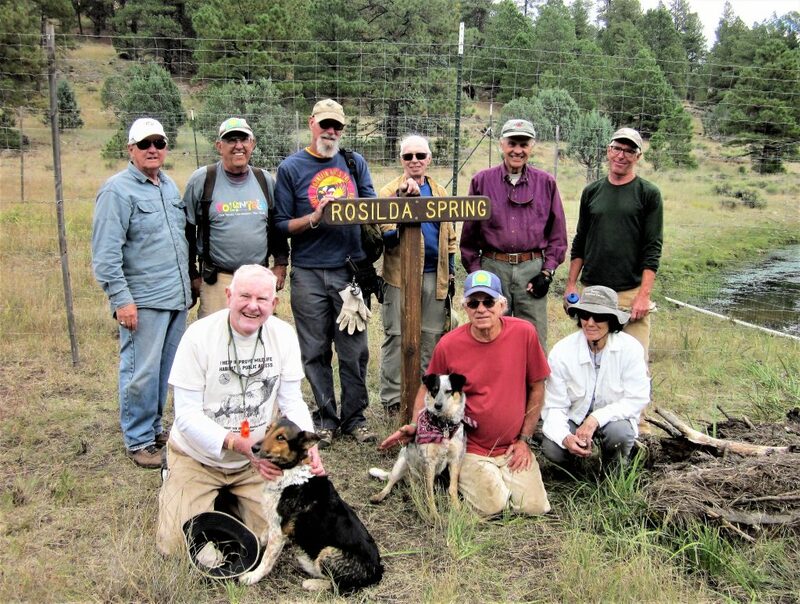 The Friends of the Rio is a small, nonprofit organization that works to protect, restore, clean up, and improve theRio de Flag stream and its tributaries in order to maximize their beauty, educational, recreational, and natural resource values, including the riparian habitats they provide. Thanks to the generosity of our donors last year, Friends of the Rio de Flag -FoRio- raised matching funds that allowed Chelsea Silva to serve for a second year as a VISTA member engaged in wide range of Rio de Flag issues, including educating elementary school students using the Rio de Flag as an outdoor classroom. 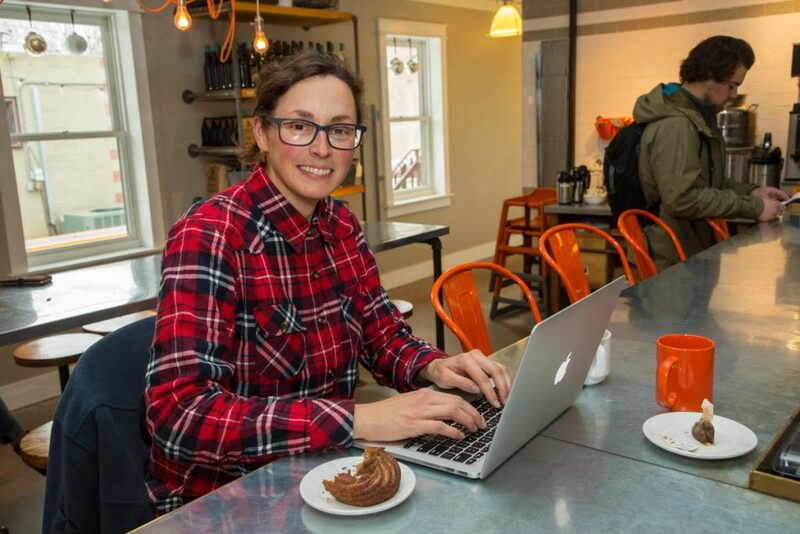 Remarkably, she also made time to serve as our unpaid Executive Director, which has benefited us immensely. One of her great accomplishments has been a successful application for a WaterSMART Grant from the Bureau of Reclamation. 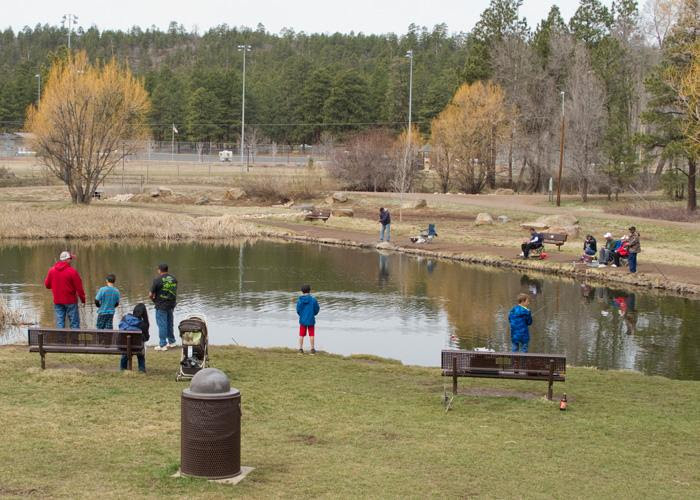 This summer, we learned that FoRio’s application received a very high score and has been selected for a $100K grant to work with the City of Flagstaff, Coconino County, and other stakeholders to develop a Rio de Flag Watershed Plan. This is fabulous news, but…there is lots of work to do and a short deadline to complete the requirements to actually receive this grant. We are to develop a detailed system for complying with all federal grant administration requirements including how we will ensure that our subcontractors’ financial management systems adhere to Bureau of Reclamation terms and conditions. We’ll also need to conduct the search for an employee to manage the grant for the next two years. This is a huge task and we’ll need Chelsea’s continued dedication to be sure we receive the final go-ahead with this funding. We can’t ask Chelsea to take on all this additional work without compensation. FoRio Board members have already donated $2,500. Please help us to match this with another $2,500 to pay Chelsea for the many hours of work necessary to ensure we get the final approval for funding. Tax-deductible donations can be made through PayPal by clicking the DONATE button at the top right corner of our website. Every dollar helps! 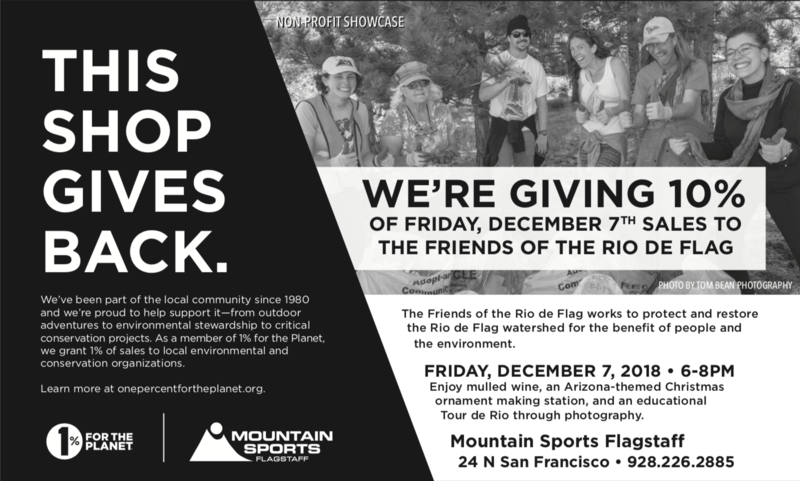 Friends of the Rio de Flag is a 501(c)(3) nonprofit organization whose goal is to protect, restore, clean up and improve the Rio de Flag and its tributaries to maximize their beauty, educational, recreational and natural resource values, including the riparian habitats they provide.